Recently we posted a video where we talked about how fresh eggs in the grocery store actually are and there was a lot of commentary about if it really mattered how fresh the eggs are or does it just matter that they’re still edible. We decided to team up again with Fresh Eggs Daily for a follow-up video and post. Today we’re going to compare an egg laid today from our property and an egg from a carton sold at the grocery store. The first thing we tested was a simple visual comparison. We took the egg from the coop, laid today (haven’t even bothered cleaning it off) and an egg from a carton which, according to the Julian date, was packaged 33 days ago, so who knows, the egg could be 33 or even 43 days old, but either way, we know it is not a day old egg. We cracked them into the same dish and took a look-see. The first thing we noticed is that the yolk and the whites were not separating from the coop-fresh. The whites stayed right up there with the yolk were not spreading around. However, the whites from the store bought egg spread all over the dish. You could even say they ran for the hills! So visually there was obviously some difference but I think what probably matters the most to all of you, because it certainly matters the most to me, is what does it actually taste like. So, we cooked a store bought egg and a farm fresh egg and we are going to put these in front of the hardest critic anybody can possibly find – a CHILD! Tracey is our almost-11 year old and she can be a picky eater. However, she has our coop-fresh eggs several times a week. What will she make of the eggs? Can she even tell a difference? We put two plates in front of her – one had the store egg and the other our own coop-fresh egg. She happened to try the store-bought egg first and… guess what? She immediately declared it was the store egg. But I asked her to try both and she did. She was still convinced the first one was the store egg. And she was correct. She went on to say that she eats fresh eggs all the time and she could tell the difference in the taste between the eggs. Well, there you have it. I don’t care who you go to, I don’t care what nutritional guide you can send me, I don’t care what sort of governmental report or scientific analysis you can do, as a homesteader and as a father, what I’m interested in is what makes my children happy, and my child says that the fresh egg is best. Period. So, is an egg that’s been in the grocery store for 3 weeks just waiting for you to buy it going to kill you? Probably not. And the nutrition value probably hasn’t dropped all that much either, after all, the nutrition in the egg is meant to be there for a baby chick getting ready to be hatched into the world. But does that mean it’s the freshest egg; that it’s best tasting egg that you’re actually going to enjoy eating, probably not. Tracey doing a blind taste-test of fresh vs store eggs. You’re probably going to enjoy the egg taken right out of your back yard coop or bought from your neighbor, or another family farm nearby a lot more than you’re going to enjoy that factory farm egg that has to work its way through a distribution system before it ends up on your plate. As it turns out, kids really do say the darndest things! Be sure to check out this awesome article about this at Fresh Eggs Daily! 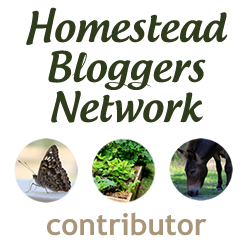 If you enjoyed the article and video be sure to subscribe to your YouTube Channel and our blog Newsletter for all the latest on the Homestead!